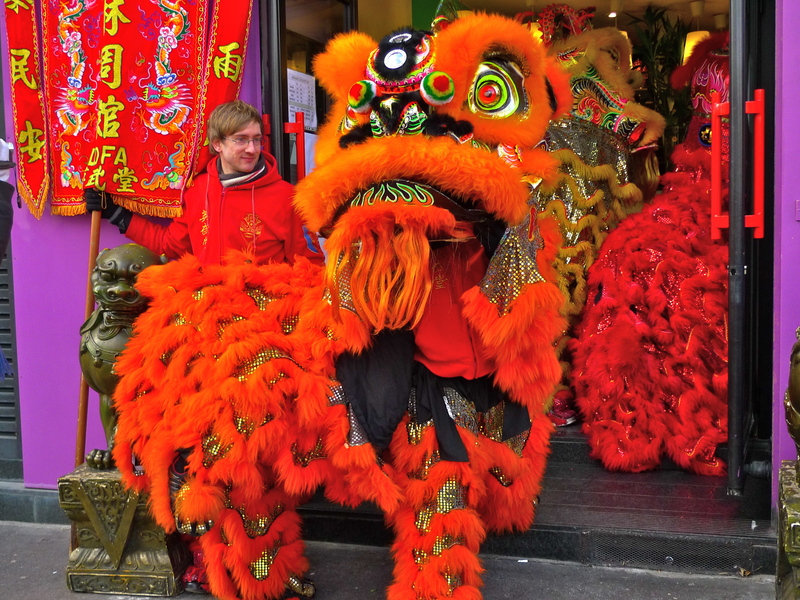 CHINESE NEW YEAR’S DAY is the first day of the Chinese lunar calendar. 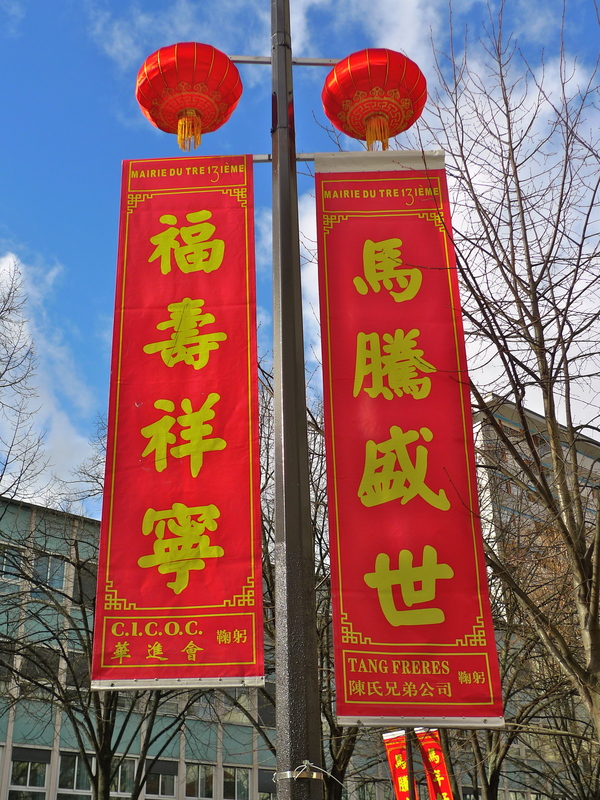 But on the Gregorian calendar the date is different each year falling somewhere between the 21st January and the 20th February. 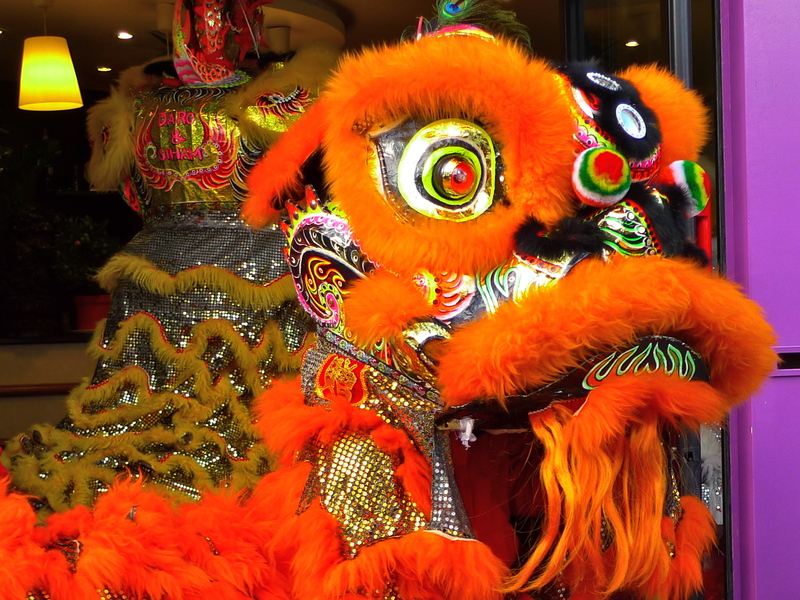 This year, Chinese New Year’s Day fell on Monday 8th February. 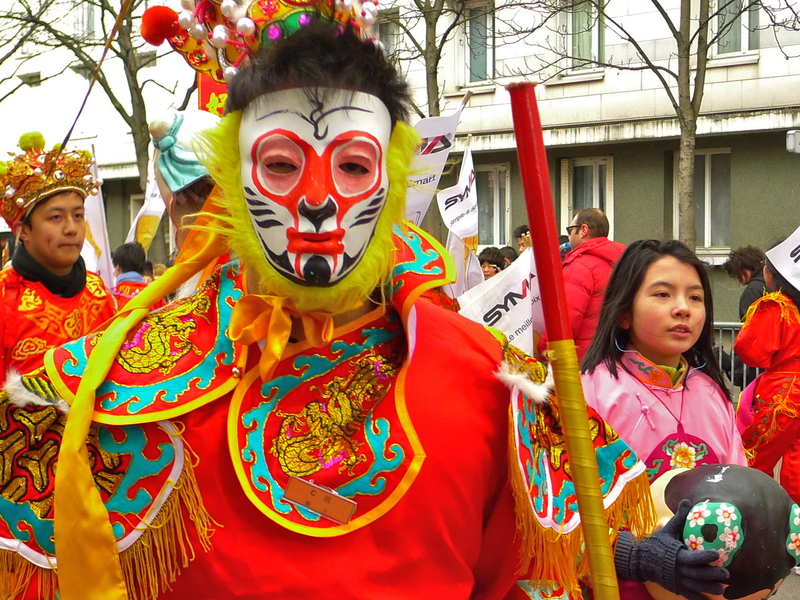 In the Chinese calendar, 2016 is ‘l’Année du Singe’, the Year of the Monkey, the ninth of the 12 animals in the recurring 12-year Chinese zodiac cycle. 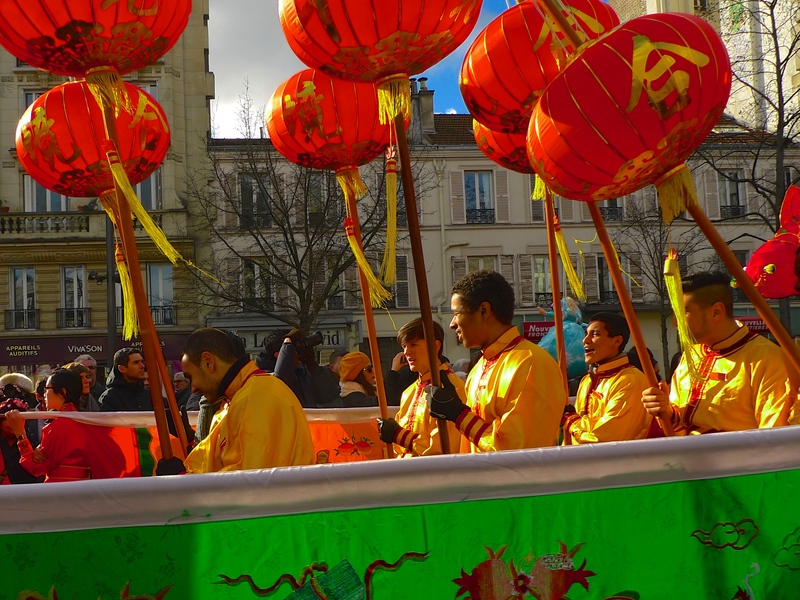 In Paris, Chinese New Year is celebrated across the city culminating in the Carnaval du Nouvel An Chinois, the Chinese New Year Carnival in the 13th arrondissement, which took place yesterday. 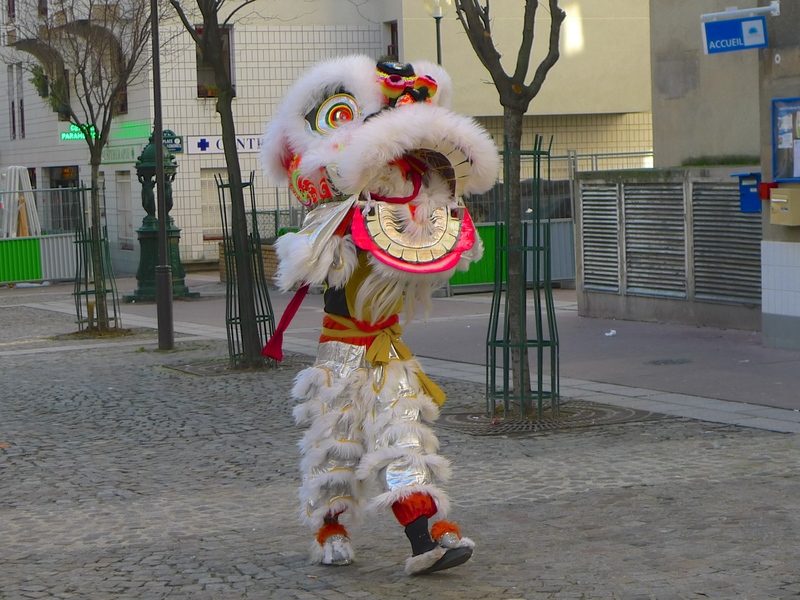 The Carnaval du Nouvel An Chinois is always boisterous occasion. 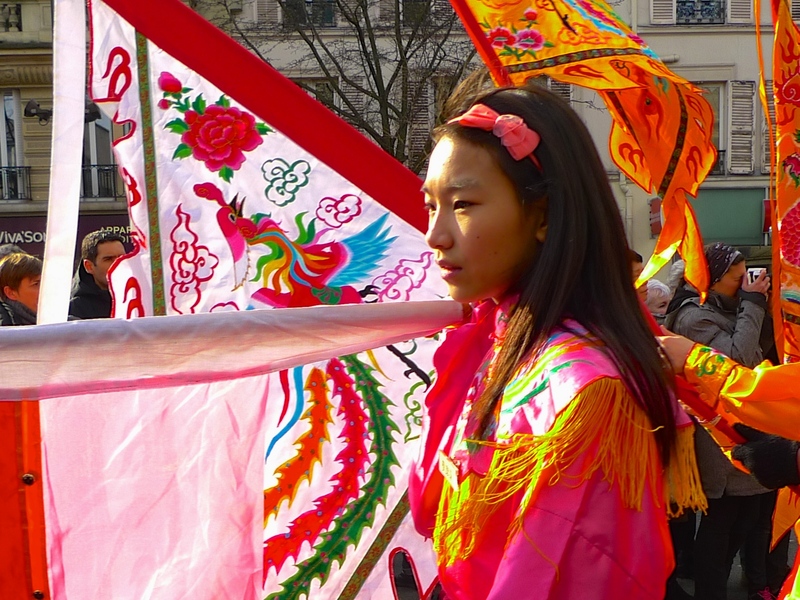 A huge crowd lines the streets to watch the colourful parade circulating around the largest Chinatown in Paris and, as I do every year, I went along to join in the celebrations and to record the sounds. 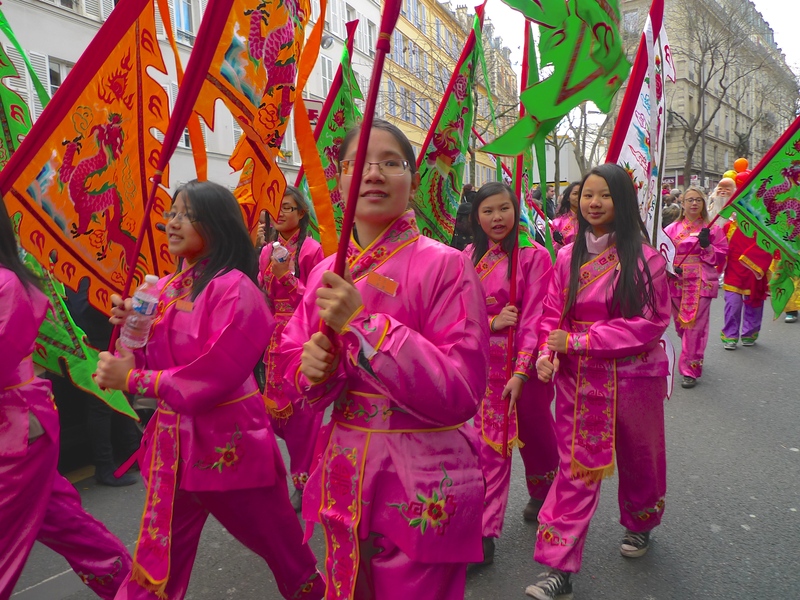 This year’s parade may have been dampened by rain and tempered by the lack of firecrackers but it didn’t stop this annual spectacle from being as exuberant as ever. 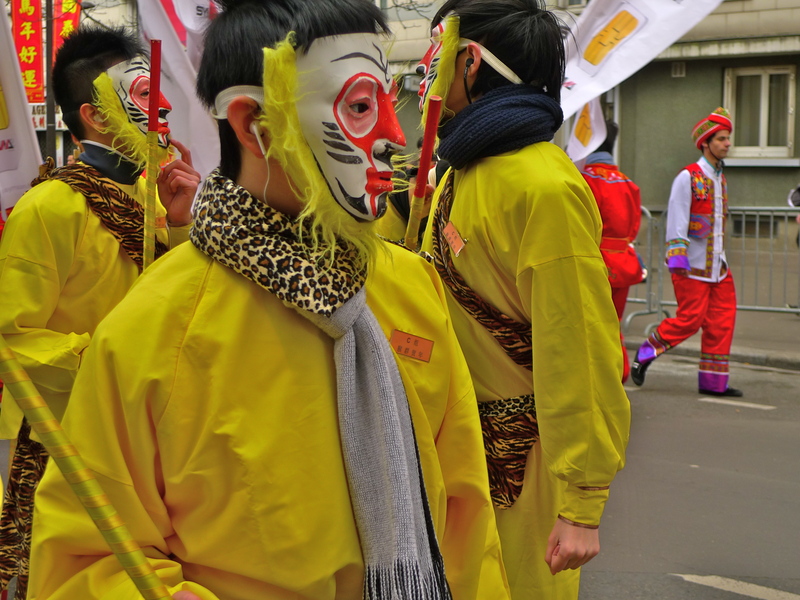 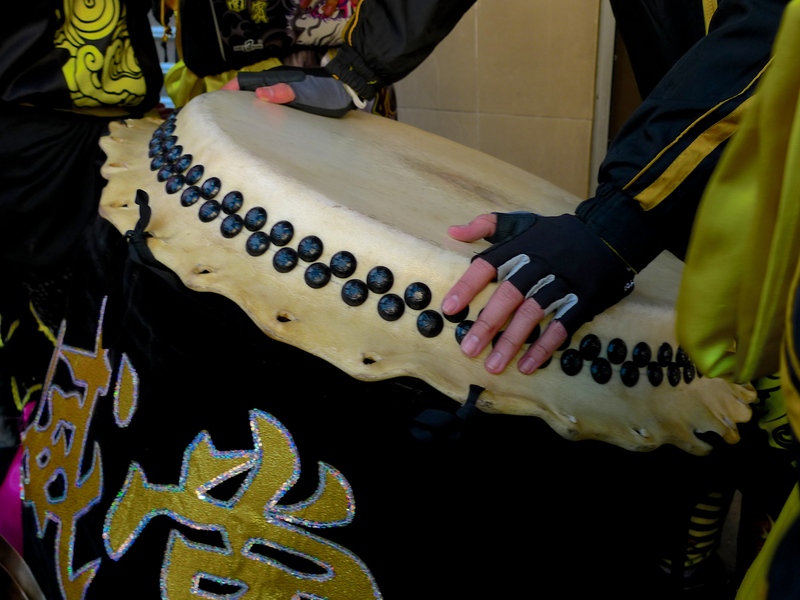 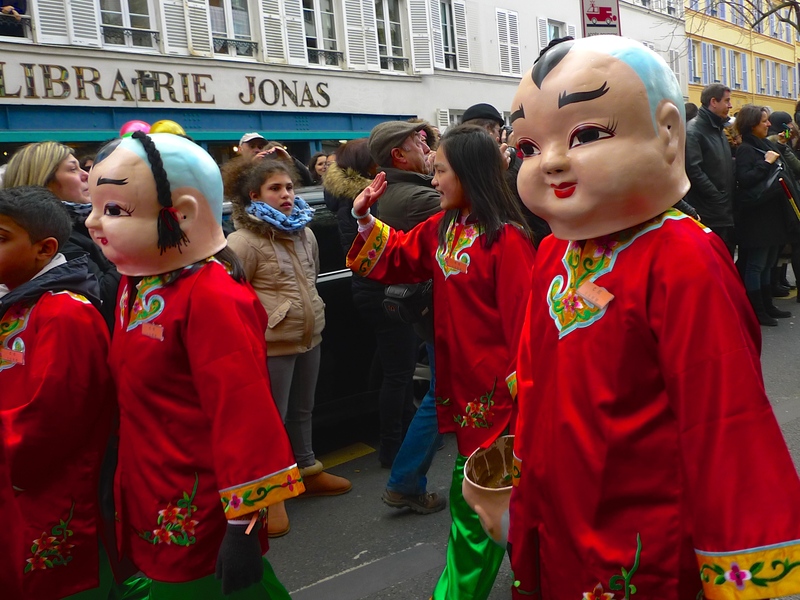 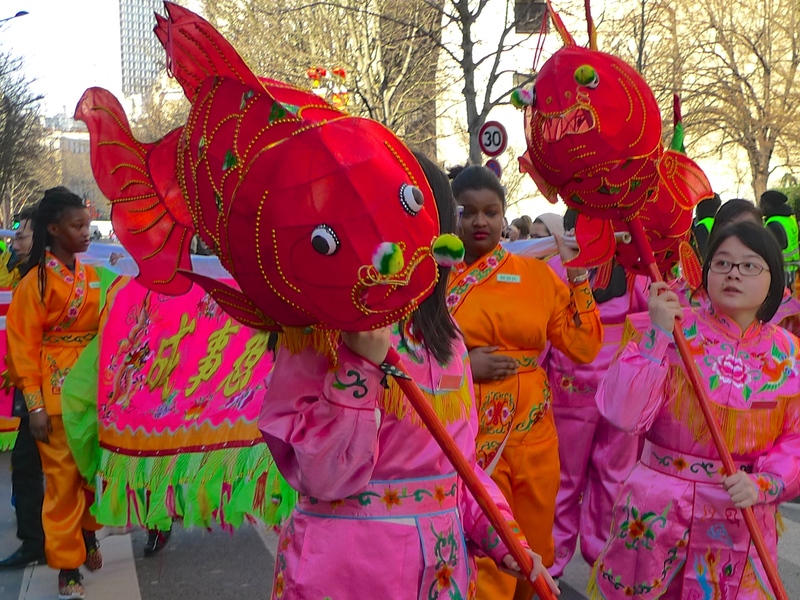 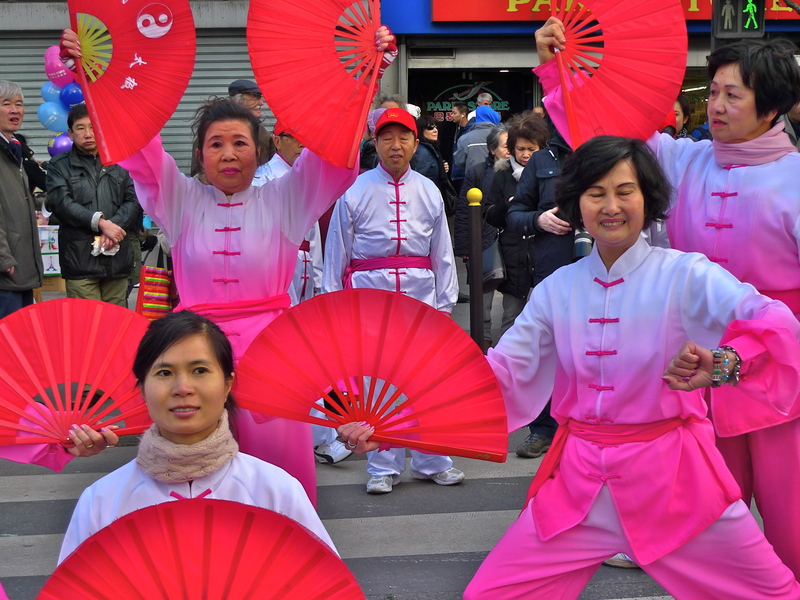 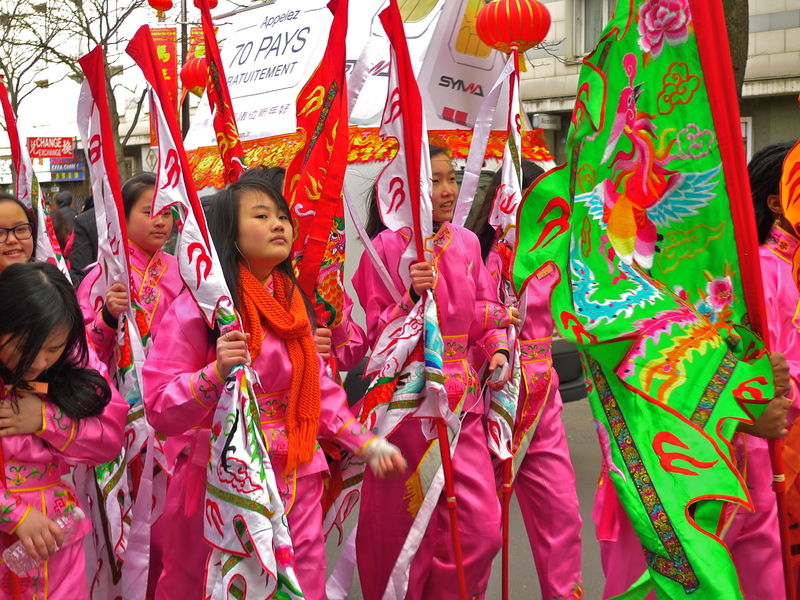 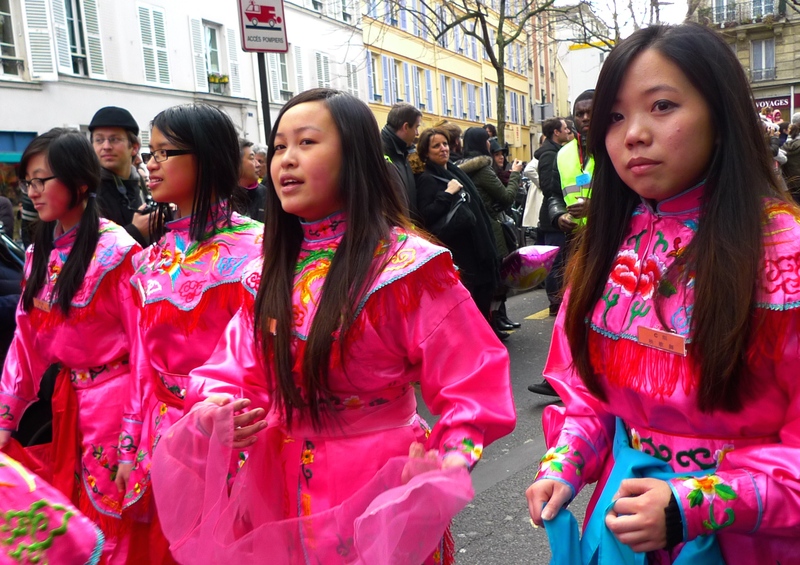 JUST ONE WEEK on from this year’s Carnaval de Paris the streets of Paris resounded to the sights and sounds of the celebrations for the Chinese New Year. 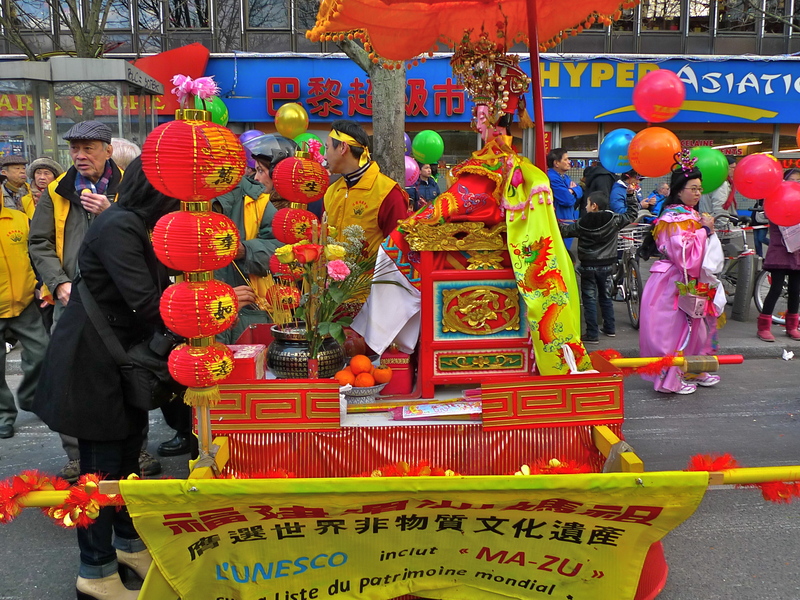 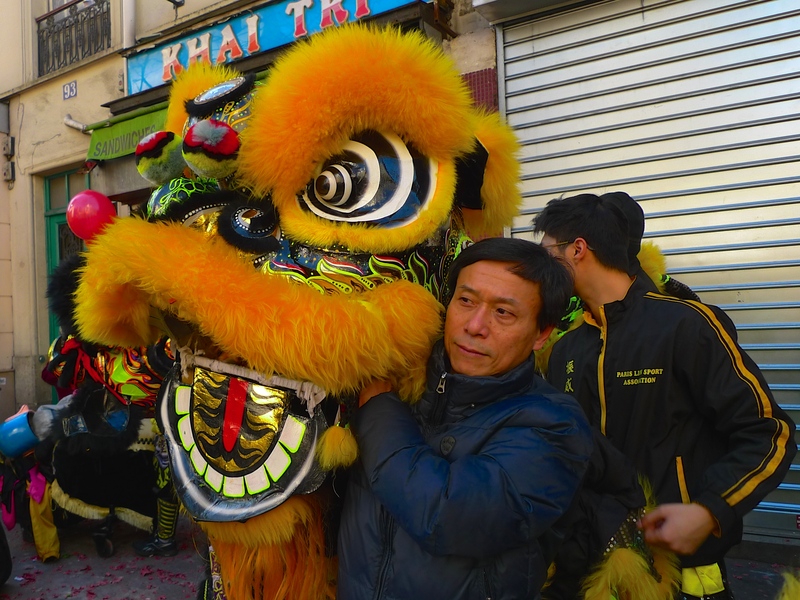 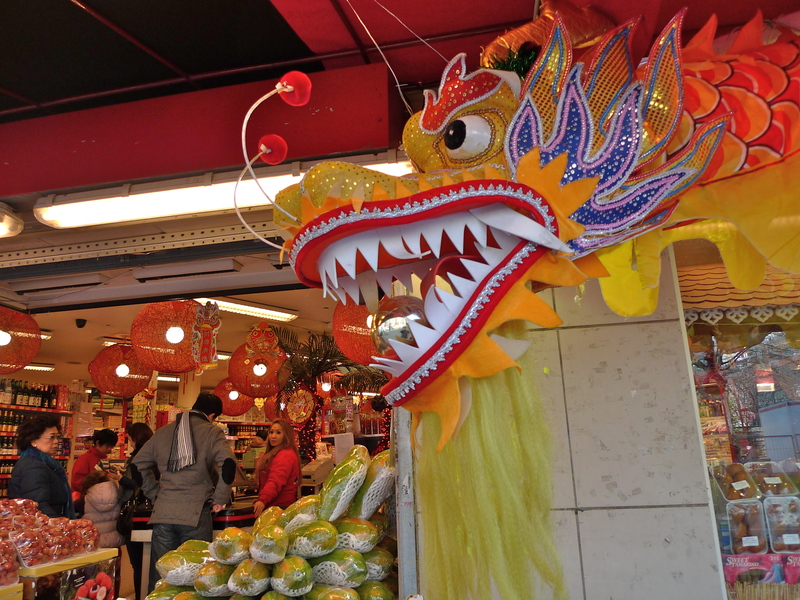 There are three main celebrations in Paris for the Chinese New Year, one around the Marais, another in Belleville and, the largest of the three, in Chinatown in the 13th arrondissement, the one I attended. 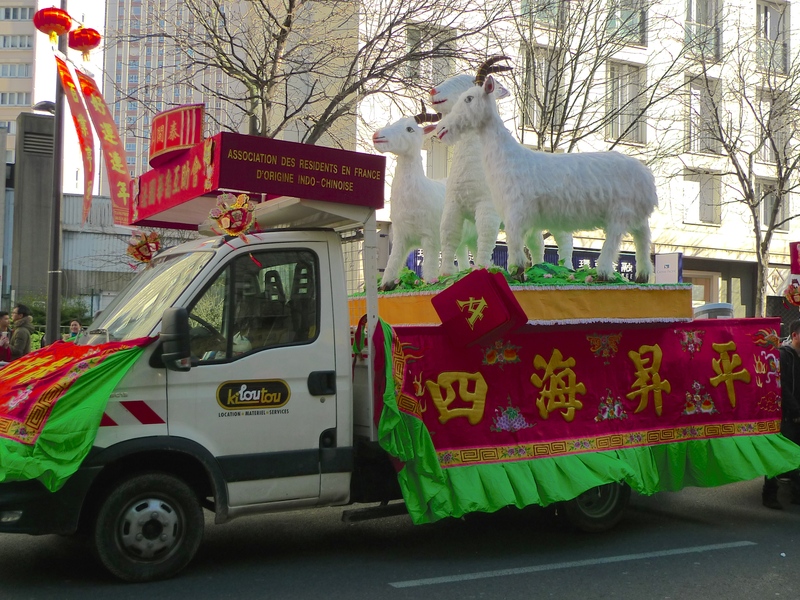 In the Chinese calendar this year is the year of the goat, which is associated with the virtues of kindness, warmth, and artistic sensitivity. 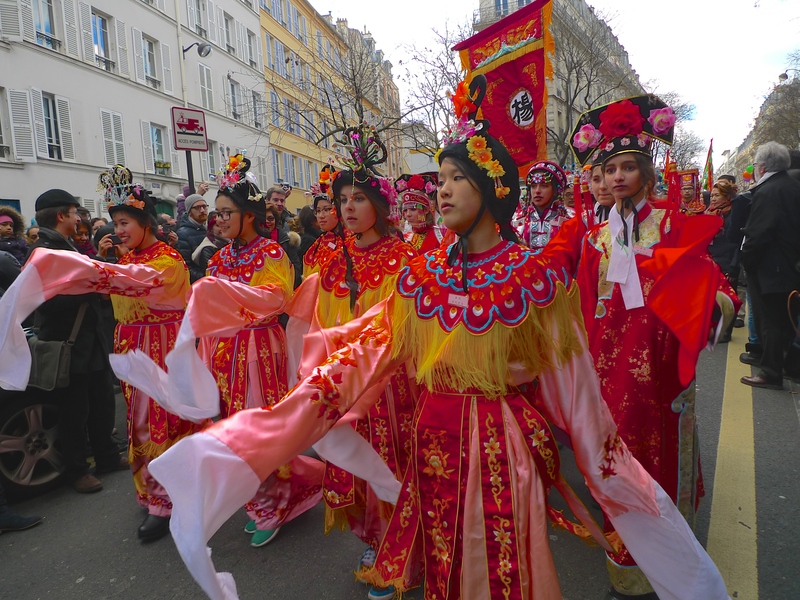 Each year the centrepiece of the Chinese New Year celebrations in the 13th arrondissement is the colourful and sound-rich procession that begins in Avenue d’Ivry and then winds through Avenue de Choisy, Place d’Italie, Avenue d’Italie, Rue de Tolbiac, Boulevard Massena, finally arriving back at Avenue d’Ivry some three hours later. 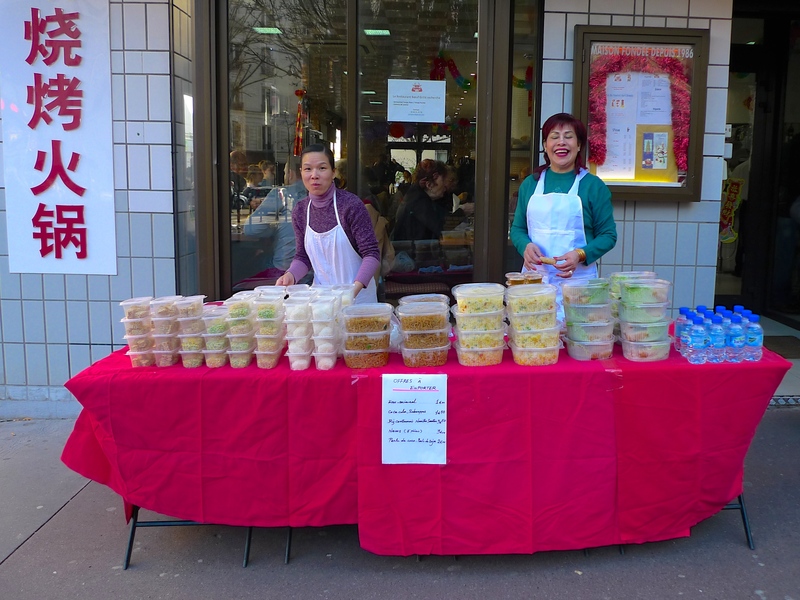 … but for me it was a take-away to eat on the hoof served by two charming young ladies. 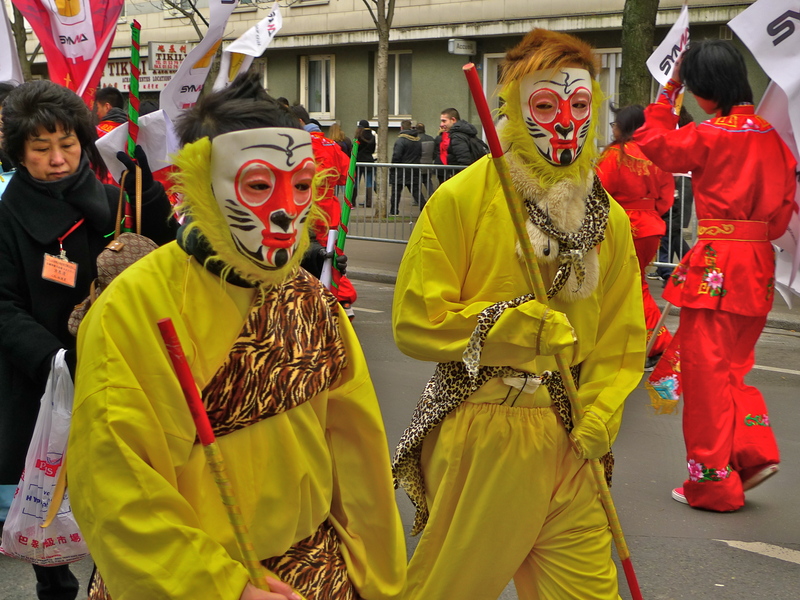 … and a couple of stray lions. 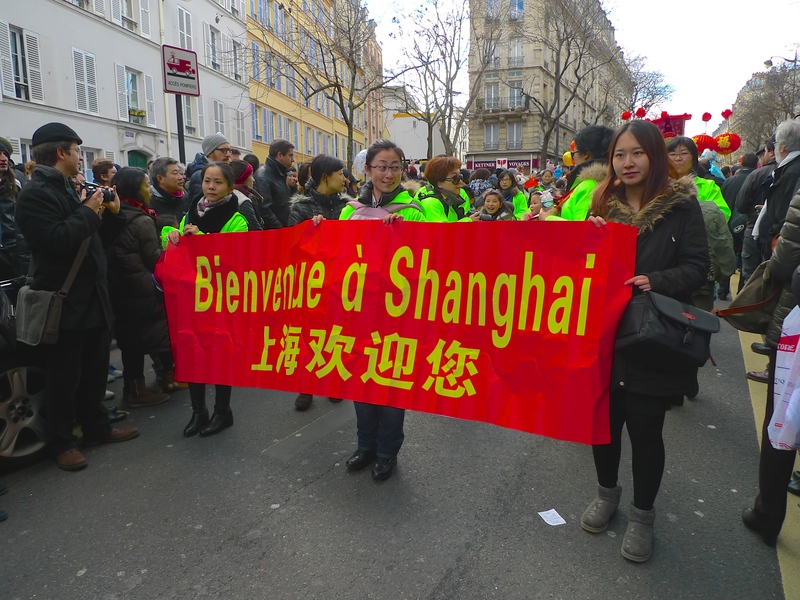 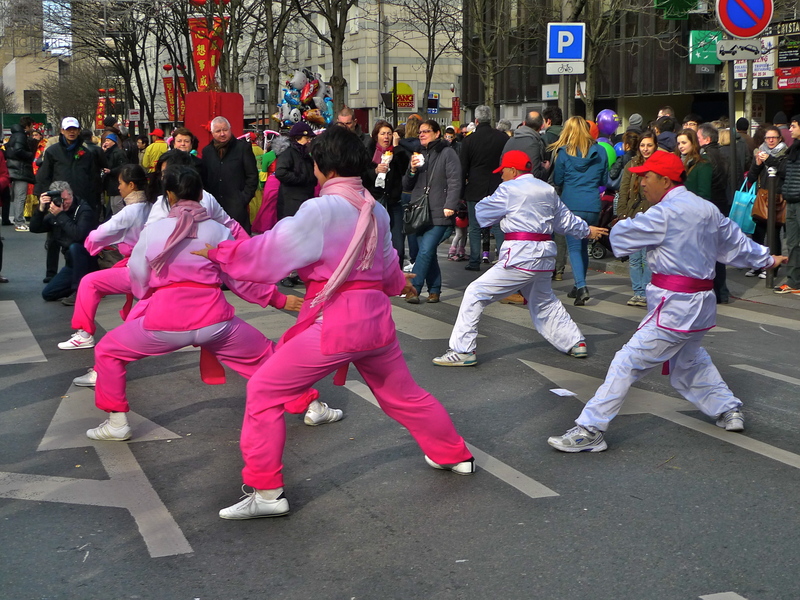 Paris has a large and thriving Chinese community and for the Chinese New Year celebrations they, and many other Parisians, either take part in the procession or take to the streets to watch it with crowds standing ten deep in some places along the route. 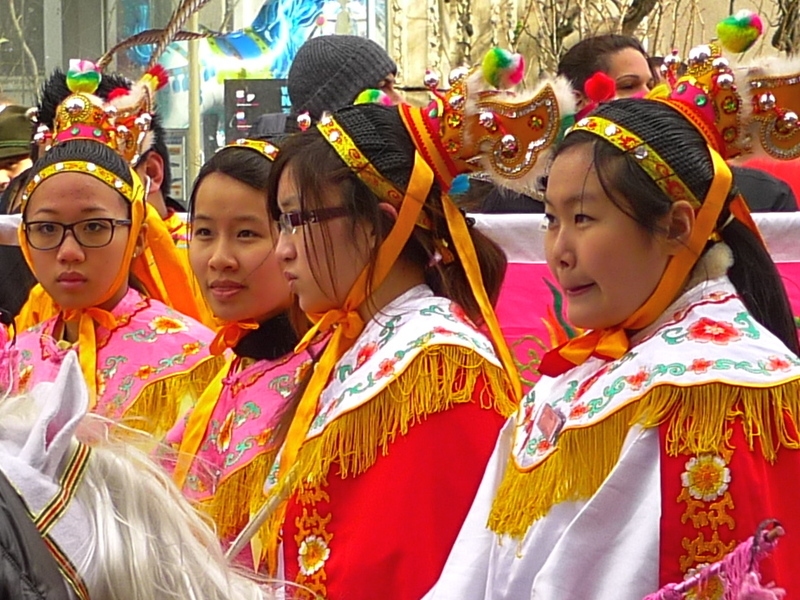 In crowds like this recording the sounds and taking photographs at the same time is always a challenge. 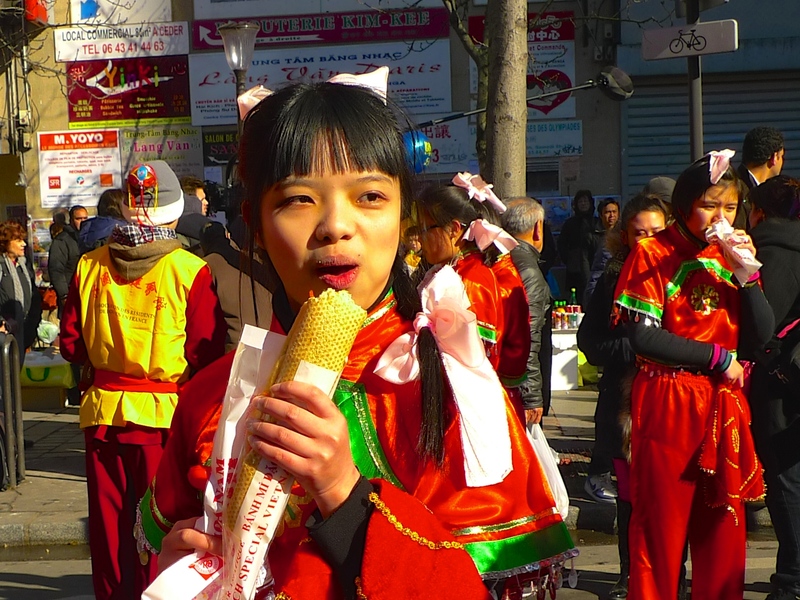 The best place to record the best sounds is seldom the best place to capture the best pictures but with good planning, a journalistic instinct for being in the right place at the right time, and judicious use of one’s elbows it’s usually possible manage to do both. 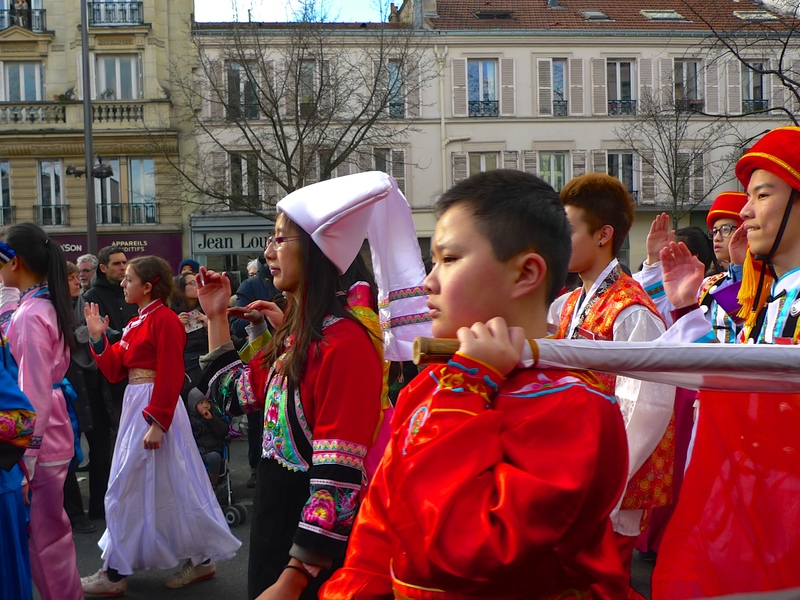 I believe it’s called ‘multi-tasking’. 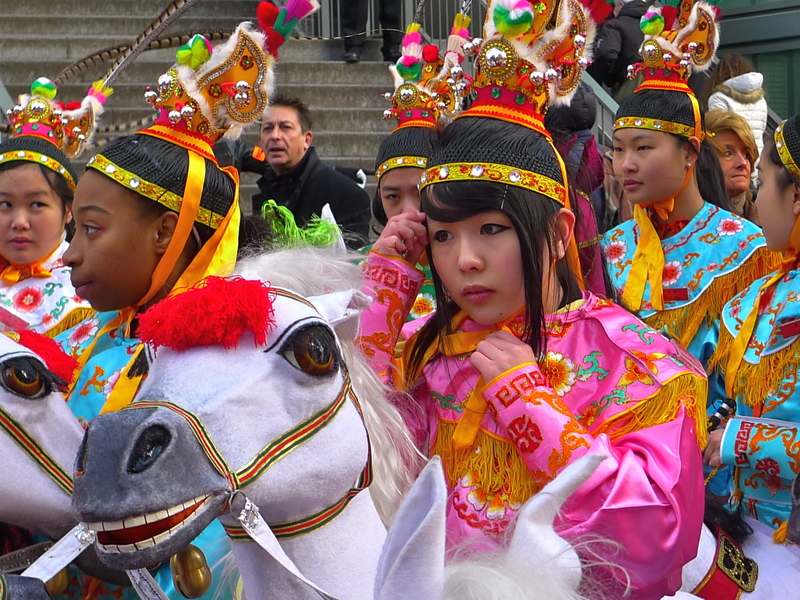 If it comes to a choice though, I always put capturing the sounds ahead of capturing the pictures because why wouldn’t you want those fabulous Chinese rhythms and sonic textures, not to mention the chorus of Chinese firecrackers, to take centre stage! 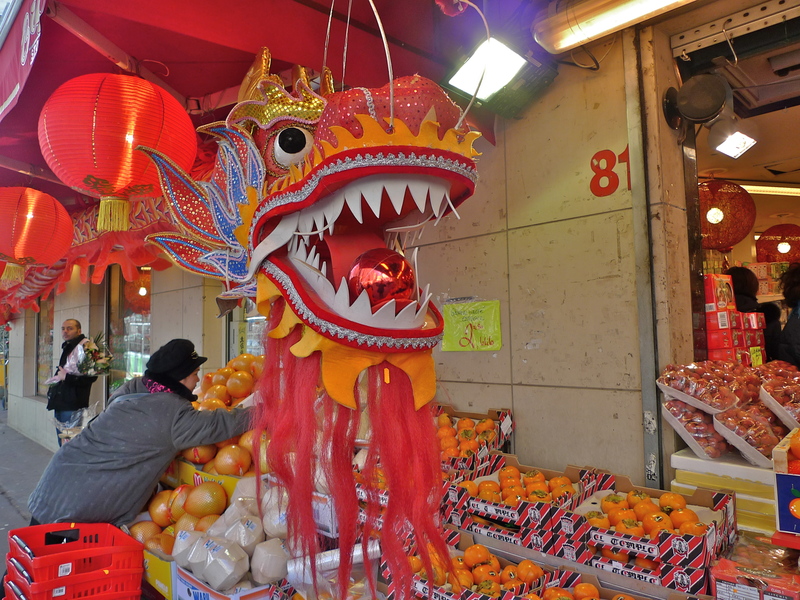 IT’S THAT TIME OF the year again, Chinese New Year. 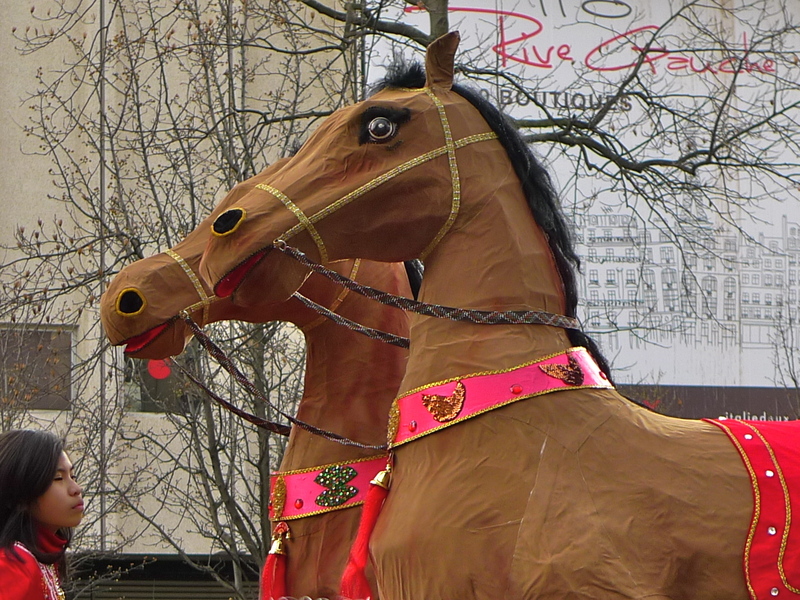 Last year was the year of the water snake and this year it’s the year of the wooden horse. 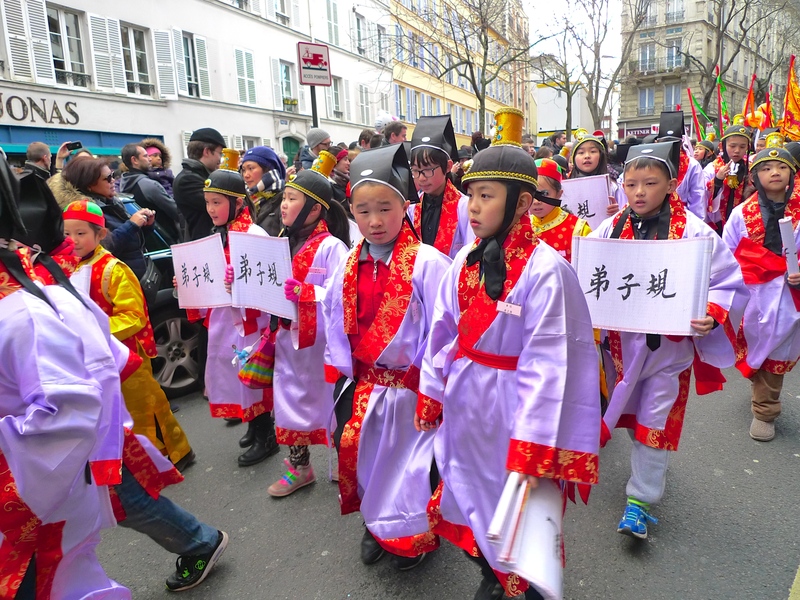 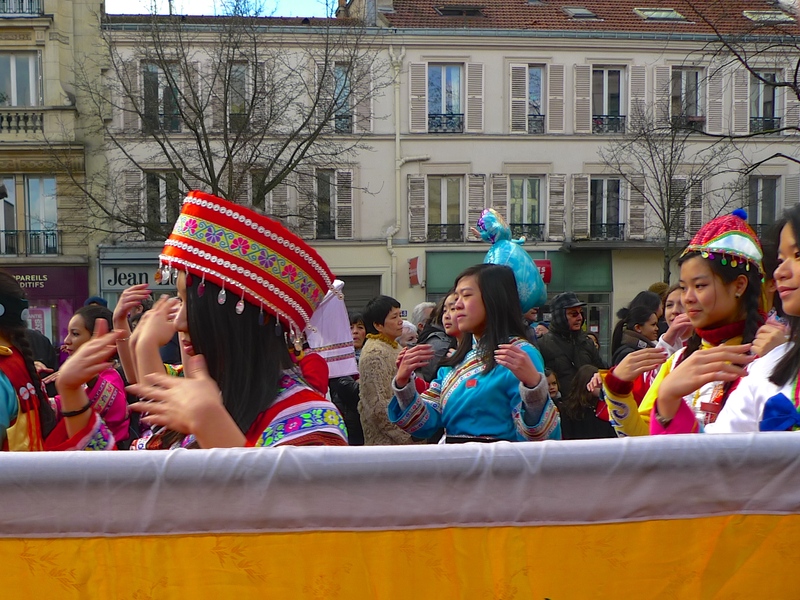 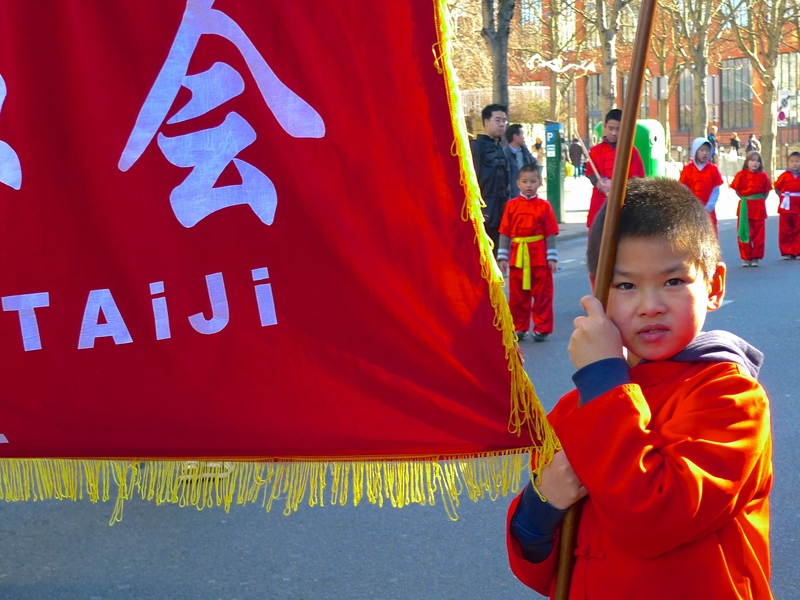 On Sunday, the 13th arrondissement was awash with people participating in and watching the glittering annual parade to celebrate Chinese New Year. 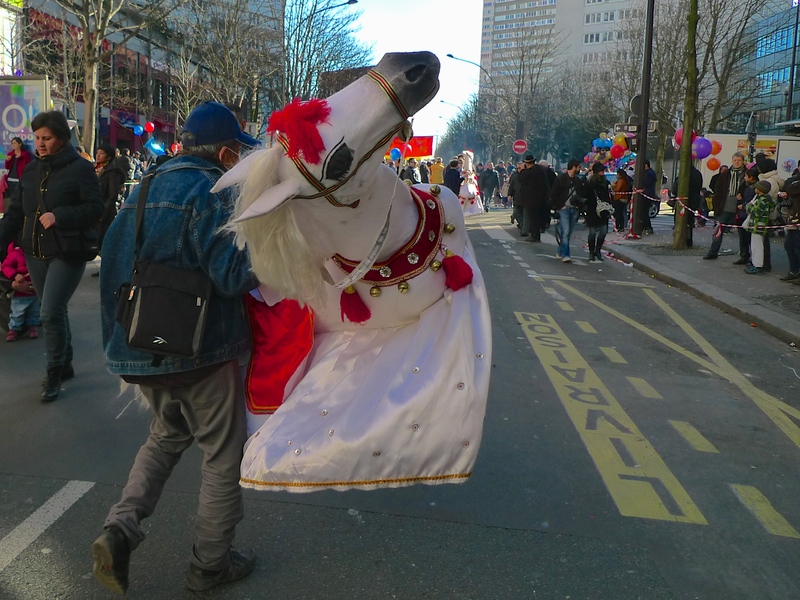 The parade began in the Avenue d’Ivry and wound its way along Avenue de Choisy, Place d’Italie, Avenue d’Italie, Rue de Tolbiac, Boulevard Massena and back to Avenue d’Ivry in south-central Paris. 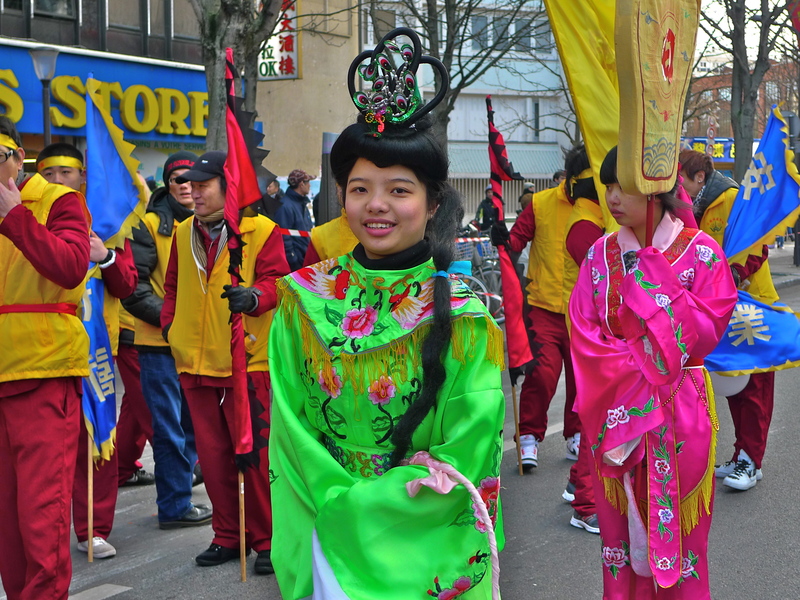 I along with thousands of others lined the streets to listen to and watch the spectacle. 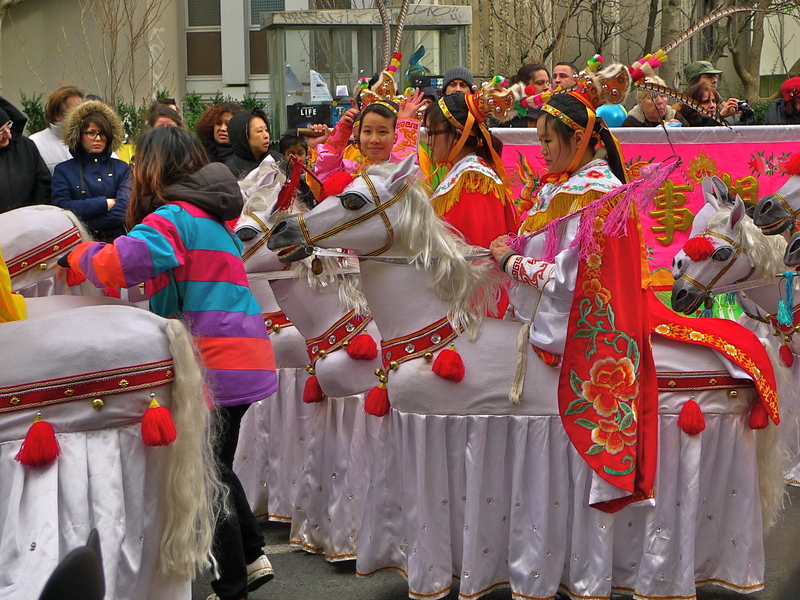 As always, it was a magnificent cavalcade of sound and colour.